On Monday, the Haitian Clinic staff and our three Doctors saw 63 patients, while the CSM students at St. Michel School took a number of individual and group photos of the students. ​Today Tuesday the students are doing art projects with the older students, these will result in new note cards, which in a few weeks will be available for sale at St. Thomas Church. The three doctors will visit the St. Joseph Clinic in nearby Thomassique, a larger village to the east. Their clinic has been in existence about 10 years. 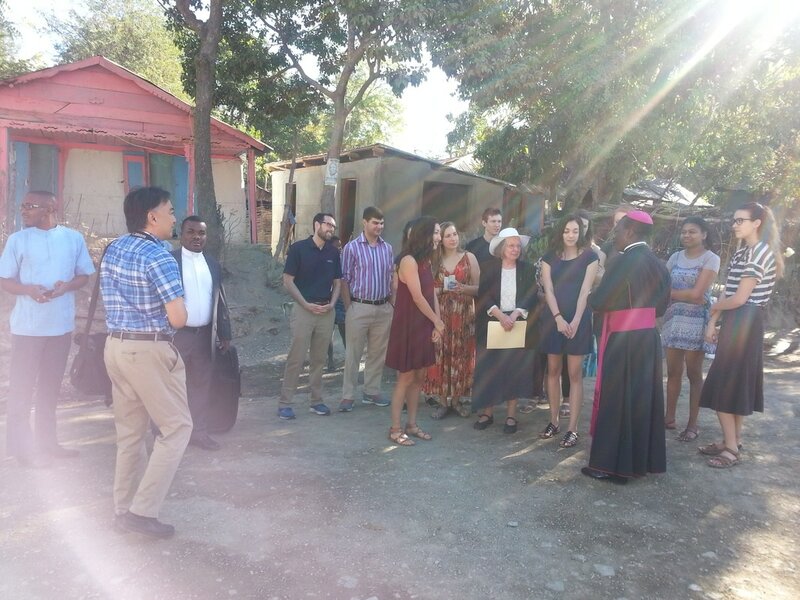 The visit goal is to gain information the operation of clinics in this region of Haiti. Several of us have met with staff at the clinic on previous visits and were impressed by their accomplishments. This clinic is supported by the Medical Missionaries in the Diocese of Arlington. The team sends its sincere thanks for all the support received from our Parishes in Charlottesville. 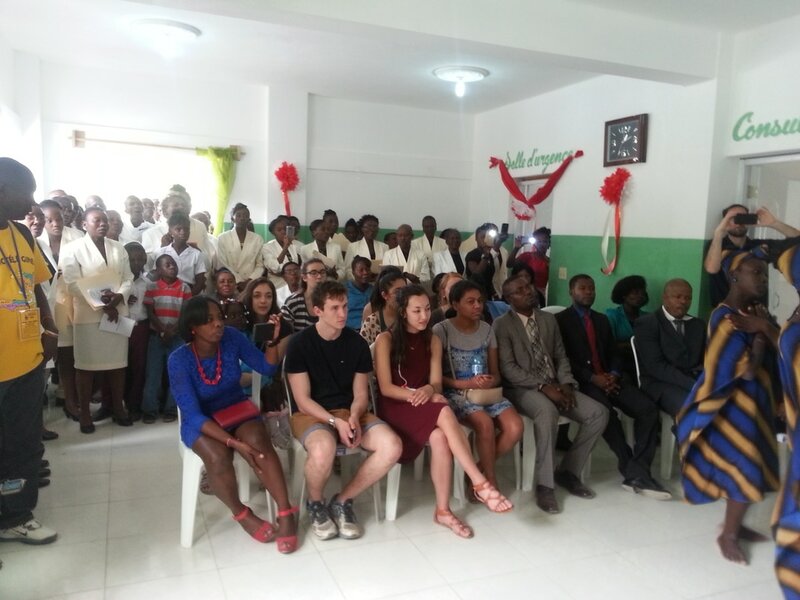 A group of 3 doctors from our committee (Dr. August Sanusi, Dr. Jim Daniero, and Dr. Anne Knasel) and 11 CMS students arrived at Port-au-Prince, Haiti for a 6 day visit in Saltadere. Participate in the dedication of the revitalized medical clinic on Sunday, March 5th. The trip has a recreational and spiritual aspect in addition. The group has taken hikes around the village and Maria Wnorowski and other CSM students have prepared reflections as part of a group prayer activity planned or each day. The group will leave Saltadere, Wednesday March 8th and arrive back in Charlottesville early Thursday March 9th. Please keep the group and the people of Saltadere in your prayers. So far, the group has had a fruitful visit and are engaged with performing the tasks in alignment with the goals of the trip. 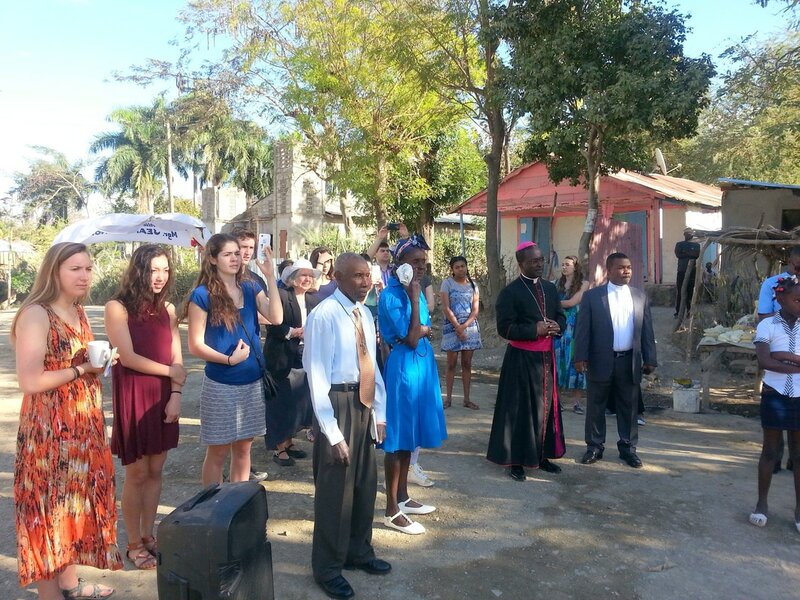 The weather has been favorable and our Haitian hosts have been very accommodating. A dental focused group will visit the clinic later in March.